I have the physical version of this puzzle. Who knew that this puzzle could be solved 100 different ways? For each level 2 or 3 pieces have already been set into the frame. Grab the other pieces, rotate them and fill up the area. The object of Decoded is to convert the 4-digit number in the middle into binary. Convert each digit - one at a time. 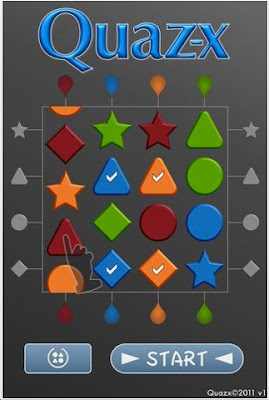 Strictly speaking, this is not a puzzle app, it's an exercise in thinking quickly. Take too much time and you lose! 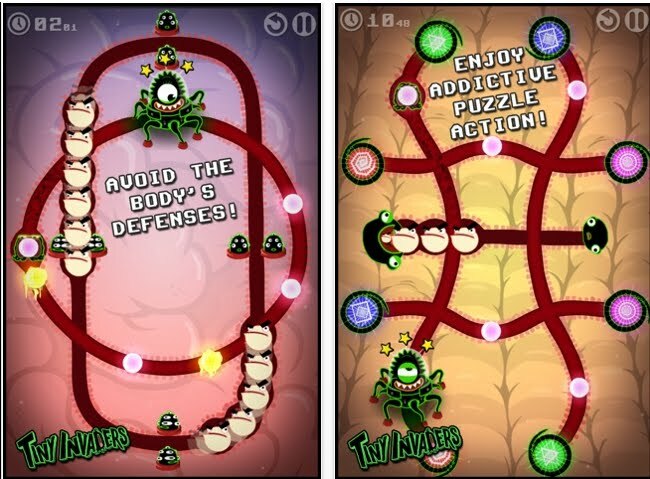 Doodle Nums is not really a puzzle, although there is a puzzle aspect to it. 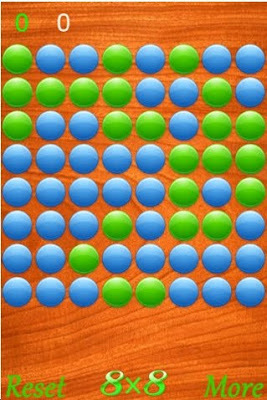 The object is to clear the board by tapping on pairs of numbers that are either identical or that add up to 10. The tapped numbers must be adjacent with 2 exceptions. 1: if there is no number in between them, but they are spaced apart vertically or horizontally, that's okay. 2: The last number in a row matches the first number in the next row. There is no scoring system. I believe that it is impossible to ever clear the board. If you are able to clear the board, send me an image, and I'll send you a prize. Boost 2 Lite is the free version. The object is to tilt your device to stay on the white road. If your path turns blue, that's a warning that a blue obstacle is fast approaching. 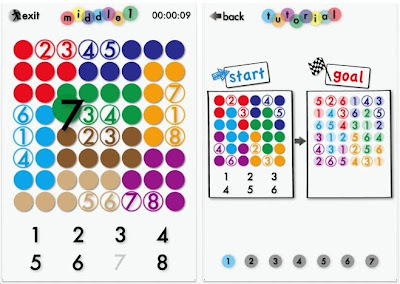 Drag Bomb is another version of peg solitaire. 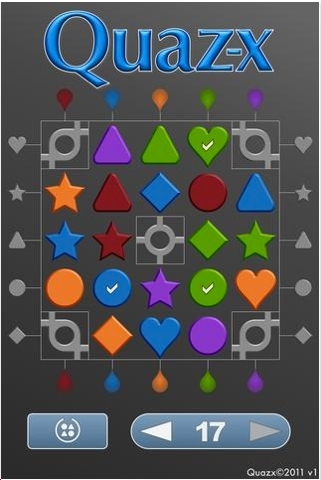 It's a free puzzle app with lots of levels. However, the graphics are dark. And considering there is a 'bomb' element, perhaps the designer should have done something with the pegs that get jumped; they just disappear. I recently acquired this Impossible Bottle puzzle from Jeff Scanlan, who is also a magician who specializes in 'sports magic'. 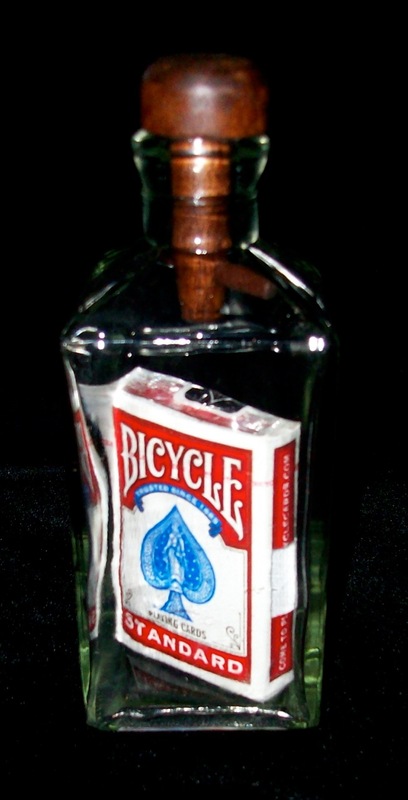 In fact, last month I was at the Magic Castle in Los Angeles and saw 2 of his other Impossible Bottle puzzles. 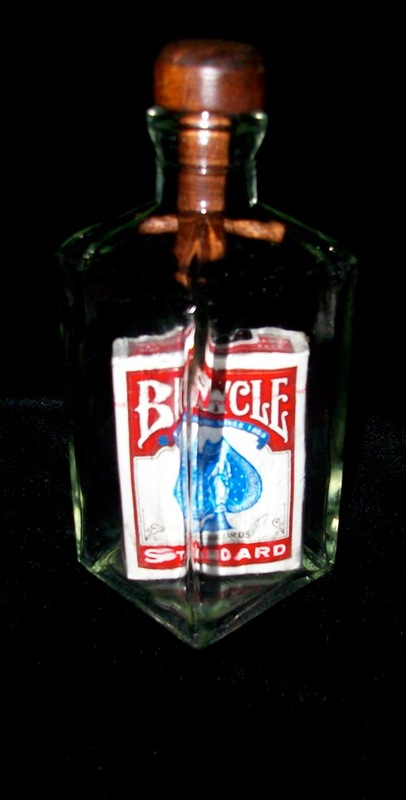 Impossible Bottles make you think: how was this done. The only way to retrieve the object inside is to break the bottle. Visit Jeff Scanlan's magic webpage. 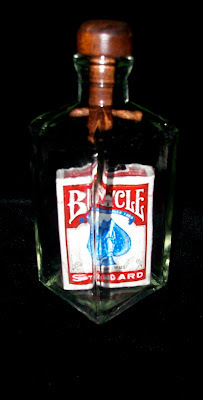 Visit Jeff Scanlan's Impossible Bottle webpage. In 1989, I discovered a puzzle called Cross Sums in the Dell Math and Logic Puzzles magazine. I was hooked! Since then, I've done thousands of them. Every couple of years, I'll get a batch of 50 to solve. When I'm done, I always say: that's the last one I'll ever do. I'm tired of them. 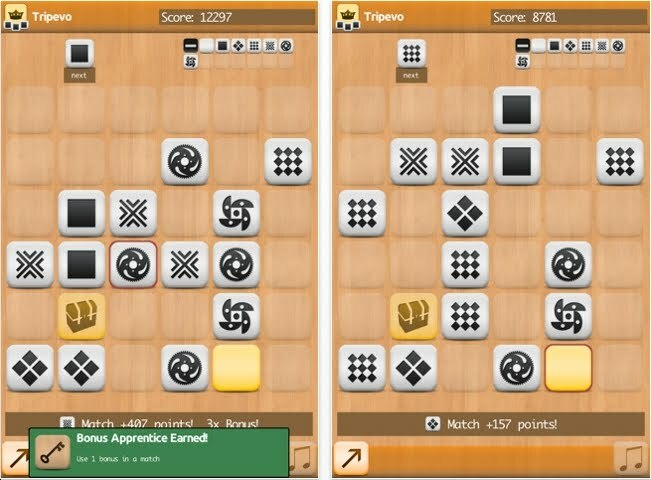 Last week I got an email from Kroyan Armen about his puzzle app called Primo Kakuro. (I should mention here, that Cross Sums got renamed as Kakuro about 8 years ago.) 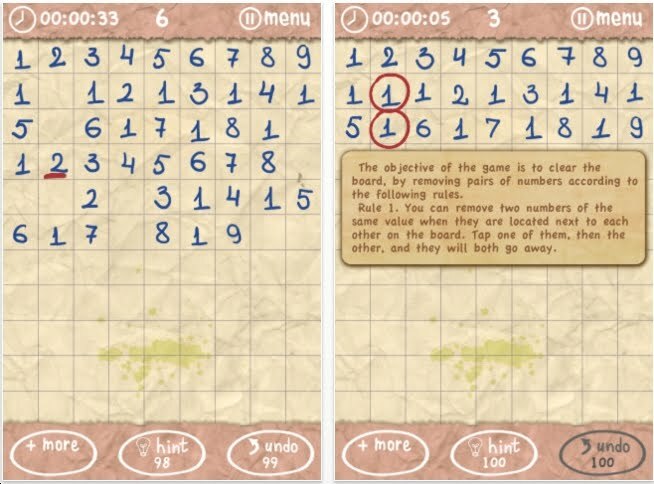 Primo Kakuro and Primo Kakuro HD contain a lot of these puzzles. The 'Evil' puzzles are definitely hard enough that I struggled. Primo Kakuro has some interesting features. Suppose you tap on an empty cell. Outside the grid, if you want to look, is displayed the numeric possibilities for the empty cells on the row and column. There are other bells and whistles. Discover them yourself. Download the free version of Primo Kakuro and take it out for a spin. The full version costs $3.99. That's cheaper than the Dell Magazine that I mentioned before. Also, you'll get more puzzles for your money. I've always felt that Cross Sums/Kakuros should be done via paper and pencil. In my old age, I realize it's not a bad thing to do on a computer screen. 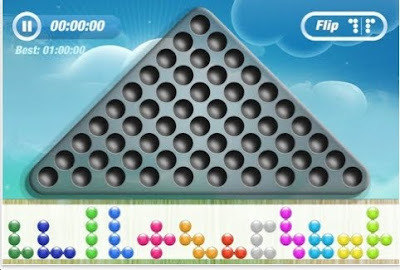 Shapzzle is very similar to Flood It! The game starts with your man represented by the top leftmost corner tile. Absorb the surrounding tiles bit by bit by changing your color to match that. What's different: try to make one specific color be the last one to be absorbed. The graphics are definitely cool. The November issue of Games Magazine is on the newsstands now. 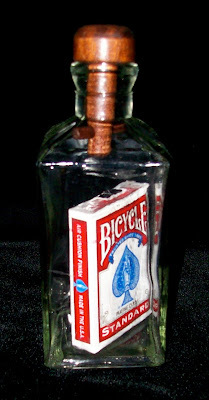 Read my 4-page article on magician Jeff Scanlan and his Impossible Bottles. Games Magazine cannot be viewed online. It can be purchased at Barnes & Noble, Target and miscellaneous magazine racks. Strangely, my local supermarket sells it. Unfortunately, they do not give me a discount. 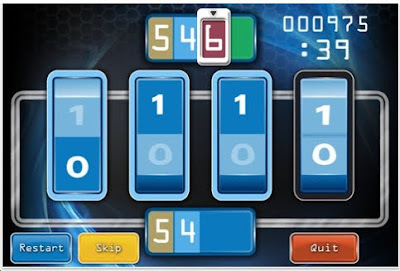 Puzzle Brainiak consists of 4 separate puzzles, none of them new. Slitherlink: Form 1 continuous path in the grid. Each number represents how many of the 4 sides - of that square - the link will pass through. I've never been a big fan of these, but the ones I solved previously had gigantic grid sizes. The starting grid size here is perfect: 4x4. They get bigger and change shapes to triangles and hexagons and honeycombs! 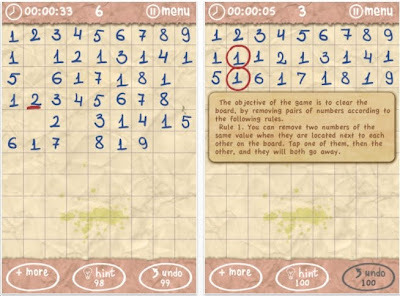 NumDom is a sudoku type puzzle app. You will notice colored numbers on the grid. The object is to have each number in each column and row. And each colored region must have each of the numbers. Small grid sizes are 7x7. Large grid sizes are 9x9. This free puzzle app is very similar to Squiggly Sudoku. 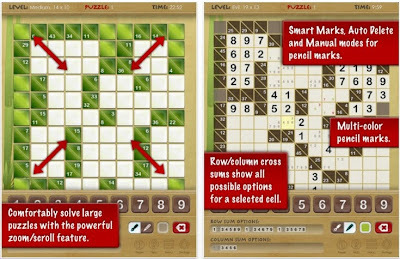 And I have to give a plug to websudoku.com For about $10 you can print or solve on your computer, about 1,000,000,000,000 other Squiggly Sudokus at all difficulty levels. 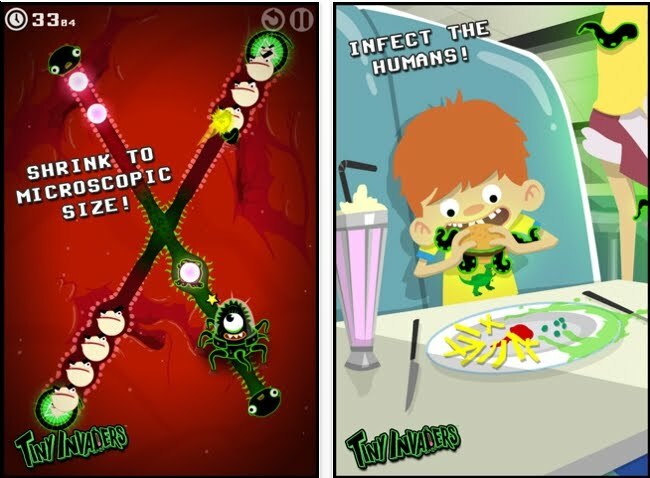 Tiny Invaders is a puzzle app with a bizarre premise. You are an alien virus that must infect the world. 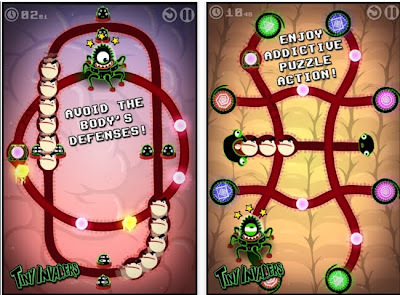 There are many individual puzzles where the objective is to send your little viruses around twisted tracks to pick up key nutrients. To some extent, this is a shunting puzzle like having trains change directions by switching tracks. On some of the harder levels, your little viruses must avoid the white blood cells. I've done about 3/4th of these puzzles. In terms of intellectual problem-solving, this is not very hard. In terms of play and fun, this is really kid stuff that is, frankly, amusing. The last person to be infected in this series of puzzles, is the president! Of course, all science fiction world calamities must be centered on the US - according to Hollywood. Isn't that what makes this country so great? 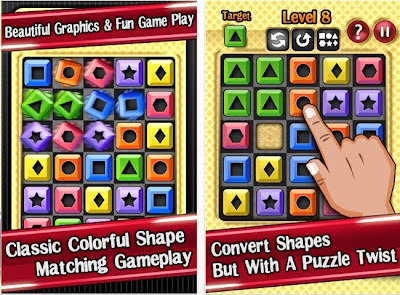 Amazing Tacoyaki is a puzzle app very similar to Lights Out - a magnificent handheld electronic set of puzzles from Tiger Electronics. We've seen many versions of Lights Out. Amazing Tacoyaki has grid sizes from 4x4 up to 8x8. Honestly, there's really nothing special about this puzzle app. Nevertheless, I thought I'd point out yet another version of Lights Out. Geomelix is an action puzzle game. 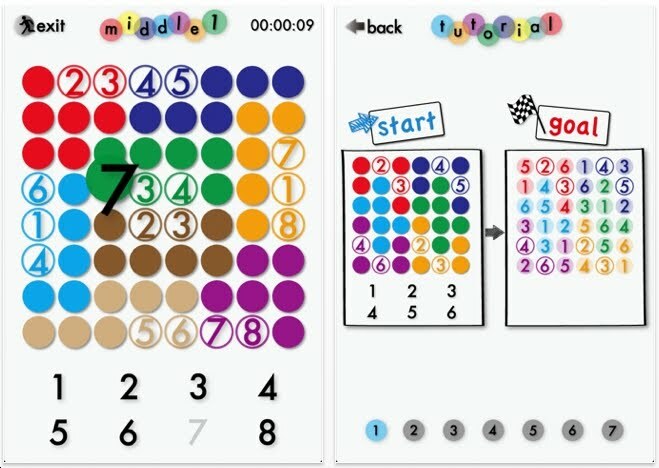 The object is to tap on the numbers in sequential order, starting with 1. Spin each Platonic solid to find the next number. Very slick graphics. 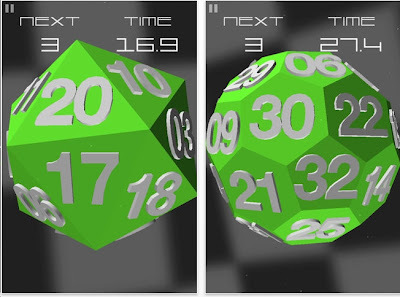 Geomelix can be played in 2 modes: play at your leisure or play with a time limit. The first 3 platonic solids are free. Keep the brain active, learn and play all types of puzzles all the time. Make it a lifetime habit and maybe, you'll ward off Alzheimer's. 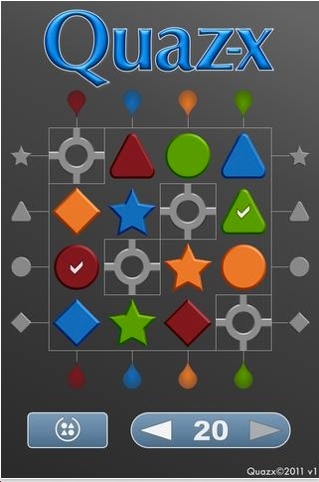 Tripevo is a great, fun, terrific puzzle app. It is hard to describe the objective. You are given tiles, one by one, to place anywhere on the board. 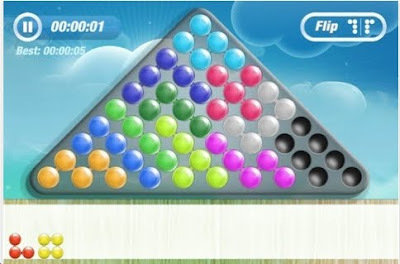 As soon as the board if filled, you lose. If 3 tiles in a row are the same, they turn into 1 tile of the next level. Altogether there are 14 level tiles, and I have gotten to the 14th level tile after a dozen attempts. Also, there are 'negative' tiles, which I semi-understand. I've played the game about 20 times and did pay for the full version. Tripevo is a deep, complicated, fun puzzle app. You will not truly understand it unless you actually play it a few times. Do so! It is worth your time. I have 1 minor problem with this puzzle.....too difficult to explain unless you've played it. This app is worthy of a fan club. The CIA is looking for puzzlers! believe it or not, the CIA is looking for puzzlers. That means you. Special thanks to our resident mole (puzzle spy chief and janitor) for the scoop. 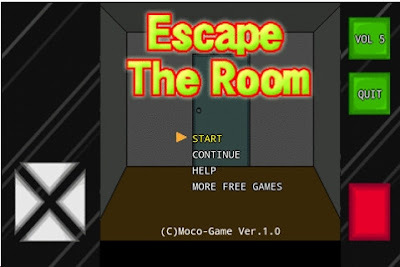 Escape: The Room from Moco Games is very simple. 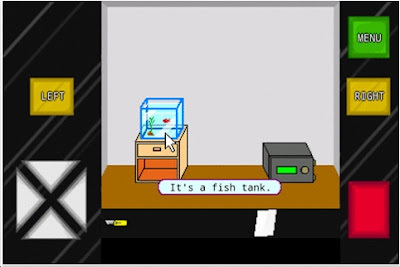 Look at the 4 walls for clues to open the safe which contains the key to the door. Similar to Myst. The graphics are a bit primitive, but that's okay. The game-play and puzzles are clever and fun. Escape: The Room is a free app. You might be frustrated at first.....stick with it! I looked at level 1 of Quaz-X and thought: Oh no, another one of these puzzle apps where I have to slide the vertical columns and horizontal rows to interchange the pieces to the correct positions. So I solved the first few levels easily. Then things got more interesting. The gray circles with outer spokes are interesting. Look at the image above. If the top row slides to the right one notch, then gray circle will stay in place and the new configuration will be blue triangle, red triangle, green circle. Notice the spokes on the corner circles: Suppose the left column moves up......the entire outer perimeter will shift in a clockwise direction. I have solved 15 of the 16 levels. #16 is very difficult. 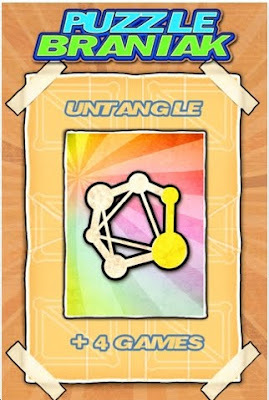 It is similar to the mechanical puzzle Hungarian Rings. Adrien Lefevre is the author of these puzzles. 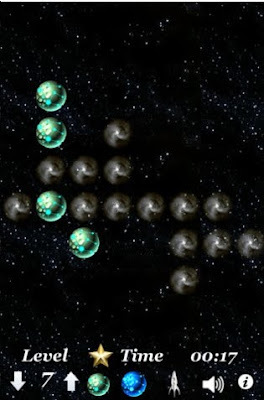 The Lite version of Quaz-x has levels: 1, 2, 3, 7. Try it, you'll like it! The good people at . 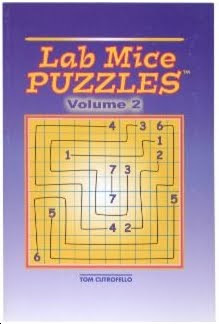 ">Puzzle Master have reported a surge in sales for Lab Mice Puzzles. Must be the Christmas Rush.